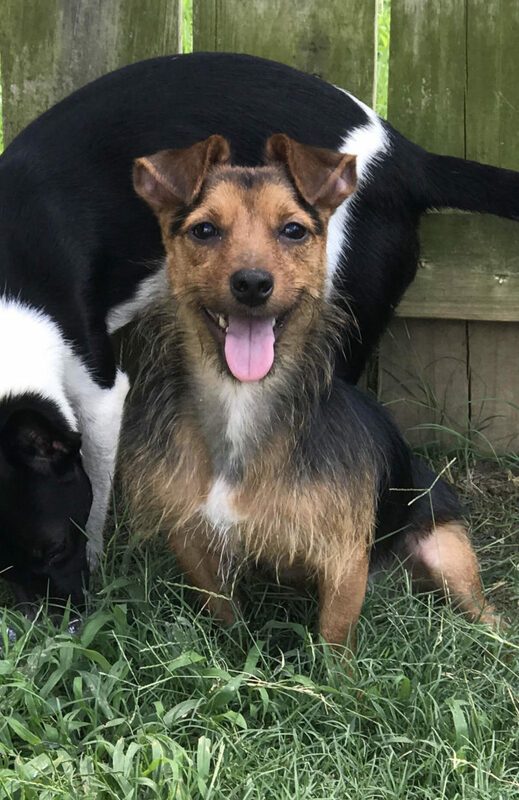 Rex is a male Yorkie/Jack Russell mix. He was an owner surrender because of job relocation. Rex is a year old weighs 13 pounds and is quite the lover! He can not get enough snuggles. He does well with other dogs but needs to be the only dog in the home. There are a couple of dominant males in his foster home right now and he tries to get in on the scuffles… but usually gets the short end of the stick! Rex needs to be part of active family, but also likes to cuddle when it is chill time. He is heart worm negative and current on vaccinations. He is neutered and micro chipped during the first week of August and then will be ready to travel to his forever home.